Someplace where mustaches are not prohibited. I've preordered a Model 3 and so I've started paying more attention to Tesla news in general, and it occurred to me that I hadn't seen a Tesla thread on GWJ. Unless The Googles are completely failing me, there isn't really one so I thought I'd make one. Music | Blog | RoughneckGeek: I stop reading a thread when Q-Stone becomes the voice of reason. Took delivery this week! I'm so jazzed! I've debated pulling the trigger on a Tesla for some time.. I'm not a car person by any stretch of the imagination but the concept of an electric car appeals to me. I've no use for a $100K vehicle but the Model 3 would be of interest to me for sure. Everyone at work tells me that its a fools game and that I'm probably never going to see a Model 3 anytime soon. Apparently the word is that Tesla will be bankrupt shortly. I don't have any inside knowledge but I'd be curious what others who have put down the $1000 are thinking.. at the end of the day I've lost more on KS'er projects that never showed up so its probably worth the gamble if I can get a car when my existing lease is up in 2019. Delivering Truth while the 10% deliver lies. So if you get one, will you be listing it on the trade thread in 10 months? I wish it was on Switch. I mean, their whole plan was based on the idea of being very unprofitable up until the release of the Model 3. All the investment (and revenue) they've gotten so far has been pushed right back into development. So if you're going into this looking at their history, it will definitely look like they'll crash and burn. IMHO, though, they are poised to push themselves into making enough revenue to start chipping away at debt. They have managed to make profit on a low volume of cars up until now, and the Model 3 is purpose-built to learn from the mistakes of the previous models (I'm looking at you too-complex Model X) and to be an order of magnitude easier/cheaper to manufacture. While obviously the raw profit of an individual car will be less, the margins on the 3 should be higher once the factory gets humming, and with 4-500k estimated reservations, they've got an entire year of manufacturing preordered. Could they still fail? Absolutely, but my gut says they've done well enough that at the very least, they'll get bought up and become a subsidiary of one of the bigger manufacturers that isn't doing a good job moving into EV manufacturing. That said, those 4-500k people are early adopters, and basically mean the pipeline is guaranteed blocked up for over a year. If you're looking at 2019 I imagine you can wait a while before there's an appreciable difference in how long it'll be before you can get it. Also keep in mind that "car owners" are to "dvd rentals" as "autopilot fleets" are to "netflix streaming". The long-term plan is to make additional revenue from taking a cut from people renting out their cars uber-style, and I bet their plan for making a tractor trailer will turn into something similar. My concern would be if Trump cancels the tax credit, which I think would be more devastating on the Model 3 than the more expensive models. That tax credit will evaporate rather quickly once they start delivering Model 3s. At 200k cars it starts to phase out over 12 months. Tesla delivered its 100,000th car earlier this year, and will probably hit 200k late this year if Elon's predictions of manufacturing rate are accurate. He tends to exaggerate, so let's say it turns out to be early 2018. Between existing sales and the Model 3. I'd wager less than 50% of those preorders will even qualify. The Seeking Alpha article yesterday didnt paint a rosy picture.. I suspect like much of what is written the truth is somewhere in the middle. It makes sense that the Model 3 will ultimately be where their long term success lies. I gotta think people will want to buy a $35K electric car. Tesla's current market cap is higher than Ford's, I don't know how they could get bought out unless the stock crashes, I guess it could be more of a merger. 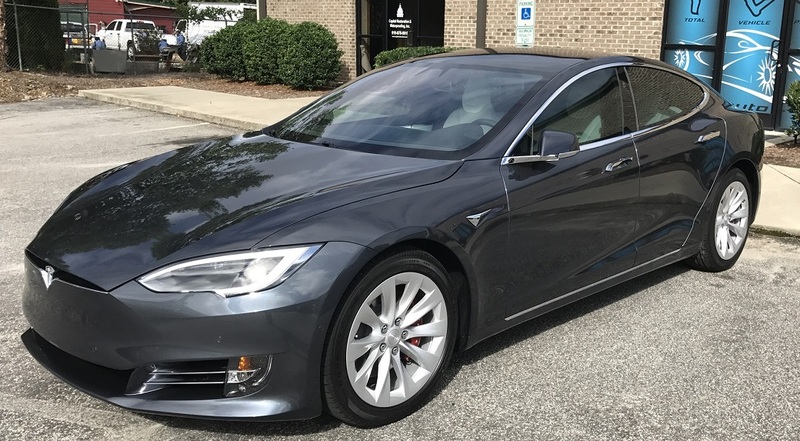 I would love a Tesla, but as someone that puts 30k miles on a car a year mostly due to commute, it doesn't fit my needs yet. A 400 mile range is what I need, as well as quick charge stations in flyover states. I put more than 200 miles on my car in a day a couple times a month. I imagine if things were going poorly enough they needed to be bought out, that stock would have already dropped. And yeah, the tax credit will be going away soon enough either way if they get anywhere near their targets for production. When is Seeking Alpha ever rosy about... well, anything? Sort of their job to be pessimistic, isn't it? If they get at least 100K Model 3s out there, who cares? You'll be able to get parts from *someone*. There are a lot more details in the Model 3 FAQ now. I was already planning on the long-range battery anyways, and I was waffling on the premium package, but I'm leaning towards getting it to get into the first-run. Hey, I'm already spending $12k more than I've ever spent on a car, what's a bit more? For first-run, my estimate is November 2017 to January 2018, so... fingers crossed. This Motor Trend post was a pretty good first impression. They liked it a lot. I keep seeing people say the interior is better in person than video and screenshots. The lack of a speed gauge directly in line of sight kills the car for me. There are two primary things I need to watch when driving: the car ahead of me, and the speed at which I'm traveling. Speed isn't as important as the world around the car, but it's probably the single most important thing that isn't. Pulling that out of my immediate field of vision is a major, major problem. The rest of the instrument cluster is fine off to the side, but speed needs to be front and center. I dunno. It's in the upper left of the screen. So, it just off to the side now. Besides, the adaptive cruise control in the S and X works really well. Especially in AP1 when it reads the speed limit signs. (AP2 will hopefully regain that ... soon?). 3 should have the same. 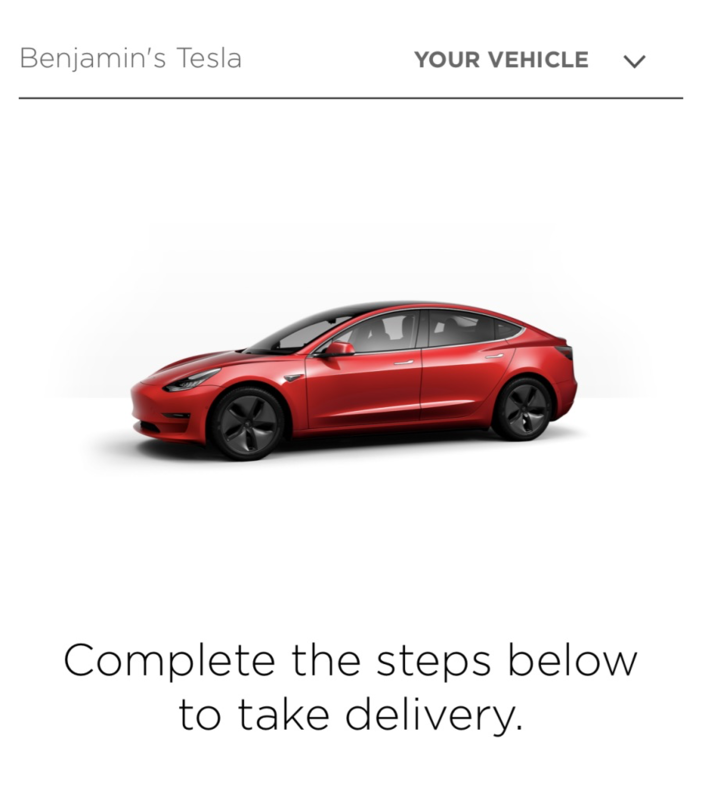 Got the update on my Model 3 reservation: got pushed out 1 month. That's not too bad! I'm now more concerned about the $7500 US federal tax credit for EVs that may go away at the end of '17. Luckily, the auto industry's lobbyists are working to defend it. changes to the tax code won't affect the tax credit on purchases in 2017. Edit: unless actual payment goes through in 2018, nothing to worry about. Yikes I thought the Model 3 was closer to the low 30s! Base model minus the $7.5K Federal Income Tax credit makes it $27.5K. When I say, "makes it", I mean claimed when filing taxes. Some states offer additional incentives or instant rebates. A guy on the TMC forums has been figuring out (as much as he can) how the neural net tech Tesla has developed works, it's pretty cool and an interesting read. Here is what he had figured out as of late last year, and here is an update about what has changed in the firmware that just came out that supposedly made a ton of improvements. Yay! Got my invite! 3-6 weeks of waiting, now.